Local indie band, Wyla recording a song with the interns. Producers Michael Selverne and Julian Dreyer working on the Asheville Symphony Sessions album. Femi is an eleven year old Rhodesian Ridgeback who has grown up in the studio with manager Jessica Tomasin. How many musicians can we fit in the sanctuary? 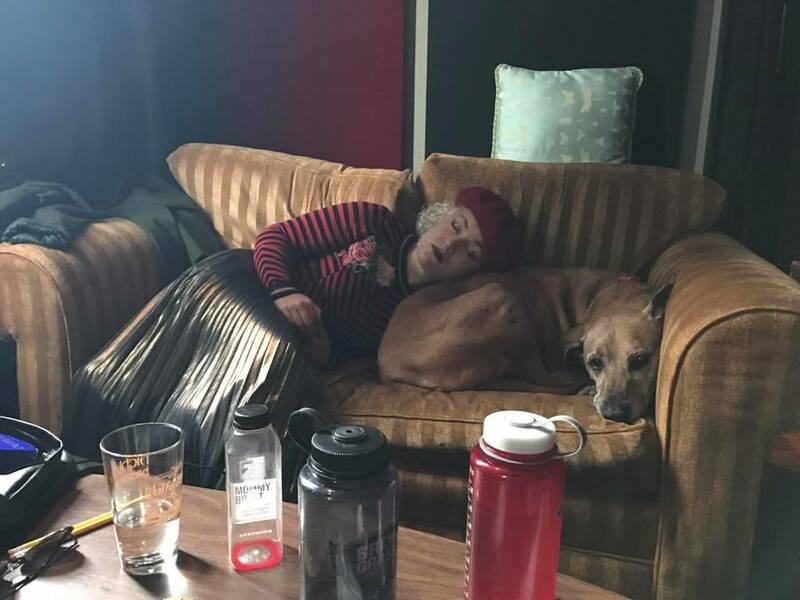 Studio work can wear you out! Tasnim of Posh Hammer napping with Femi.